A couple of weeks ago I opted for One More Saturday Night from this release and it sparked an exchange in the comments about this version of Playing In The Band. I haven’t touched on this song yet, and while I don’t want to hit up the same releases too much, I enjoyed the discussion of this release and it got me interested in checking out this version of the song. When I went back and looked, I had actually noted previously that this was a unique version of the song and had it in my queue of potential selections for this project, so it was a somewhat serendipitous exchange! Of course, there are many solid versions of PITB, just like Dark Star or The Other One, so if you think there’s a better version out there, let me know in the comments (Note: I’m not saying this version is the best ever!). This one starts off with some vim and vigor. Everyone seems to be engaged right away. Brent is on B3 so that makes me extremely happy. His background vocals are solid as well, very solid. Bobby’s guitar sounds very jangly, as it frequently does, but it has a nice sparkle to it here. The excursion into the ether is led by Phil, who’s bass sounds very fat and warm, and Brent’s B3. Jerry finally gets into the game and he’s got a wah-wah! Look out! Well, maybe it’s just his envelope filter, I’m not THAT familiar with his gear, but it’s got a nice squawk to it. Brent shifts to keys at some point and has a bit of plinky-ness going on. The jam continues with plenty of little side trips and nuances. The band is able to maintain a very full sound the whole time. A chromatic theme emerges just before the 8 minute mark that takes things in an interesting direction. Is this the “Watchtower” section that readers Steve and Mike mentioned? I assume so. The band shifts gears again and around the 12 minute mark Jerry must have turned up the treble or perhaps there’s an aberration with the master reel, because he gets really loud all of a sudden (not that this is a bad thing, just an interesting development). Things get interesting again right around the 13 minute mark. Are those birds? Sounds like someone is playing beyond the fretboard here, and Brent has gone to outer space, or so it appears. The journey through the mists of the soundscape carry on but the reprise never comes. A wash of drums and the petering out of melodic instruments simply gives way to the Rhythm Devils. Tagged 1970s, 1979, Oakland CA, RT3.1. Bookmark the permalink. Yep, there it is, it sure sounds like Watchtower to me but you never know with the Dead. It would be another seven years before the first All Along the Watchtower. There are a ton of great Playin’s from the pre hiatus period, obviously, and it’s tough to pick a favorite. But for Brent era Dead, there is one Playin’ that to me towers above the rest, 7-29-88 Laguna Seca. I mentioned it on dead.net recently and was quickly informed that it was released on So Many Roads. I had no idea it had been released, mainly because I’m not into GD compilations–I don’t think I ever even looked at the track list for So Many Roads before the other night. I know a lot of people feel differently about that and that’s fine. To each his own. There’s a snap to this version. Bob is spitting and sputtering. Brent helps out on harmonies. We are still deep within the electronic confines of the soundboard and that keeps us dry and kind of unsatisfied. At around 2:45 the big jam begins. 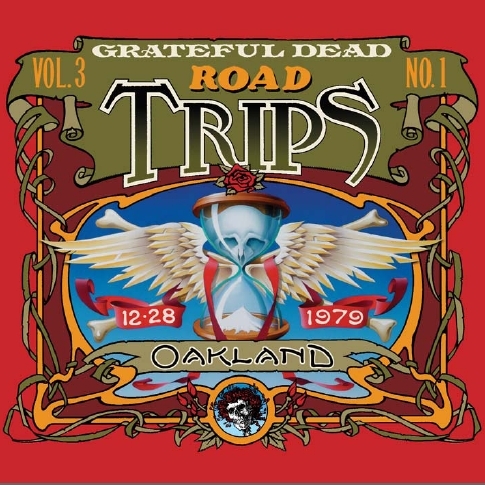 It is co-led by Lesh and Mydland at first, a bass-and-organ soft-rock interlude. Then Garcia comes to the fore with statements that sound like they may lead to greater things. Mydland switches to a false electric piano patch that is mixed way too loud while the guitar gets lost. Happily, the keys drop down and the guitar shines a bit. Nearing 6:30 a shift is attained and the jam moves sideways into deeper territory. Phil sets up a nice progression that sounds like “All Along the Watchtower”. This persists only for a couple of minutes before it is scuttled as being too obvious. After 9:00 there is further release from normalcy and a more free-form segment emerges. It is clear where we are headed but it is also nice that it gets nice and disjointed before we get there. By 11:30 all is exquisitely messy. We have arrived at why this show was tapped for release. Whew! I was beginning to wonder. The drummers get busy as the others wind down spacily. Before the track marker switches over, there is a really nice, spacey jam that threatens to pre-empt the whole drum thing. Dig it. And this continues for several minutes, with Brent featured to fantastic effect. Success! Reluctantly, the band lets go of it nearing 17:30, leaving the percussive duo to execute a segment here titled as “Rhythm Devils”.